Aoife is back with us after a long deserved break over the Winter and we are VERY excited. 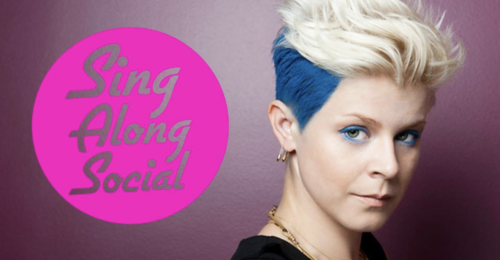 Back with a bang featuring Robyn one of our fav Scandi pop gals. Sunday 17th of February will be a very special Scandi Pop Night. Come drench yourself in some pop-hygge at the Ultimate Scandinavian Pop Battle – we’re talking Robyn vs Sigrid vs The Cardigans vs ABBA vs Lykke Li vs more Robyn. Doors are at 7.30pm and we’ll be singing by 8.30pm sharp. And, heck yes, there’ll be prizes for the best worst singers and the most Scandilous dancers. The Sing Along Social is a zero-commitment choir where friends and strangers gather together to sing along to their favourite tunes. You don’t have to practice, you don’t need to know the words and you don’t even need to be able to sing.